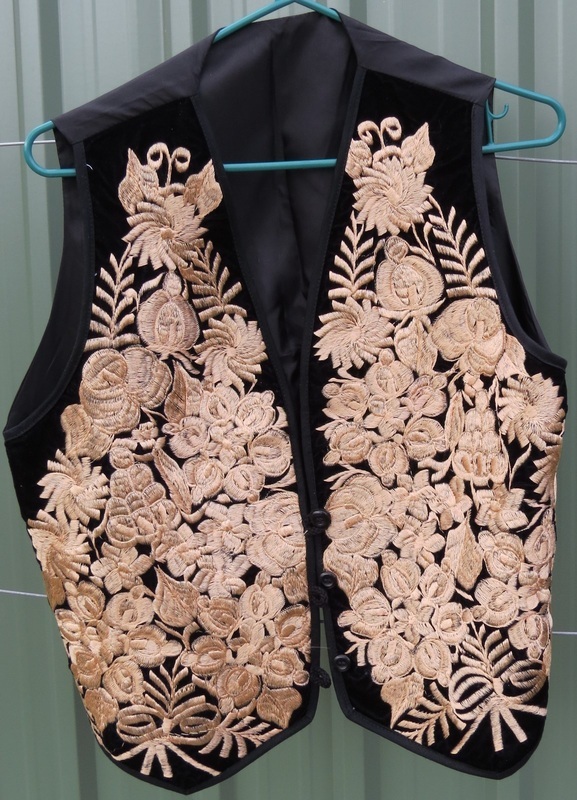 Multicultural vintage clothing - a small number available. 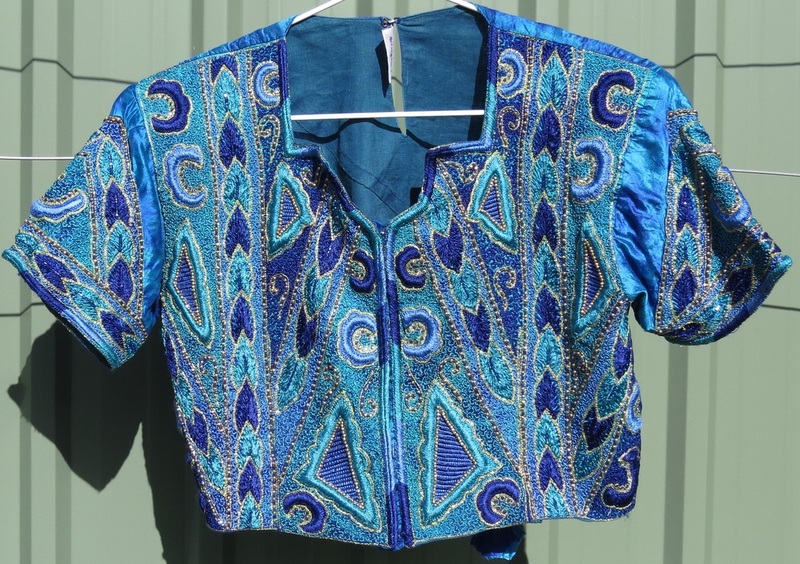 Mult1 Indian crop top, originally for wearing with a sari. 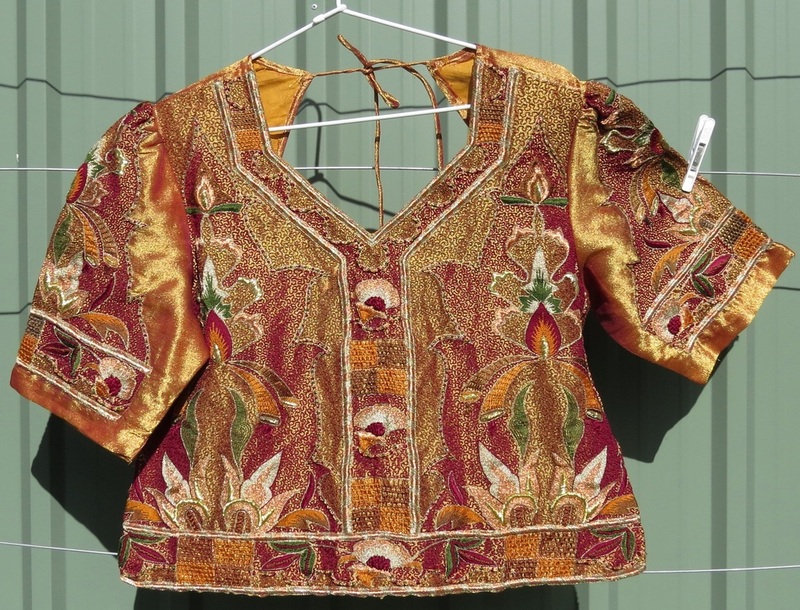 Silk, densely embroidered and beaded on front and sleeves. Back has tie-dye effect, adjustable with ties. Size 8-10. Prchase with reasonably matching vintage silk sari, $60. Mult2. 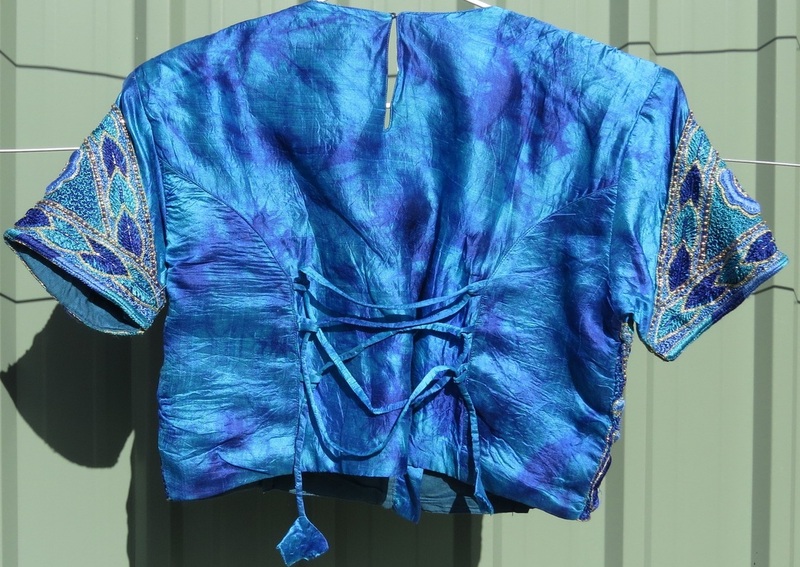 Indian crop top, originally for wearing with a sari. 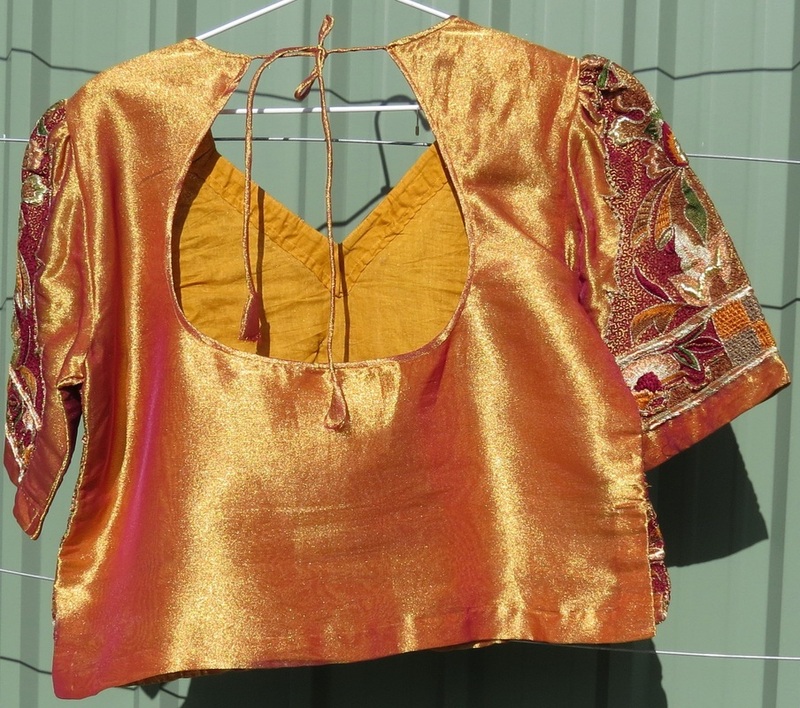 Size 16, Zardosi choli top. Tissue shot silk gold/red, lined with cotton. Front and sleeves shimmering, densely embroidered and beaded. Cut-out upper back. $35. Mult4. 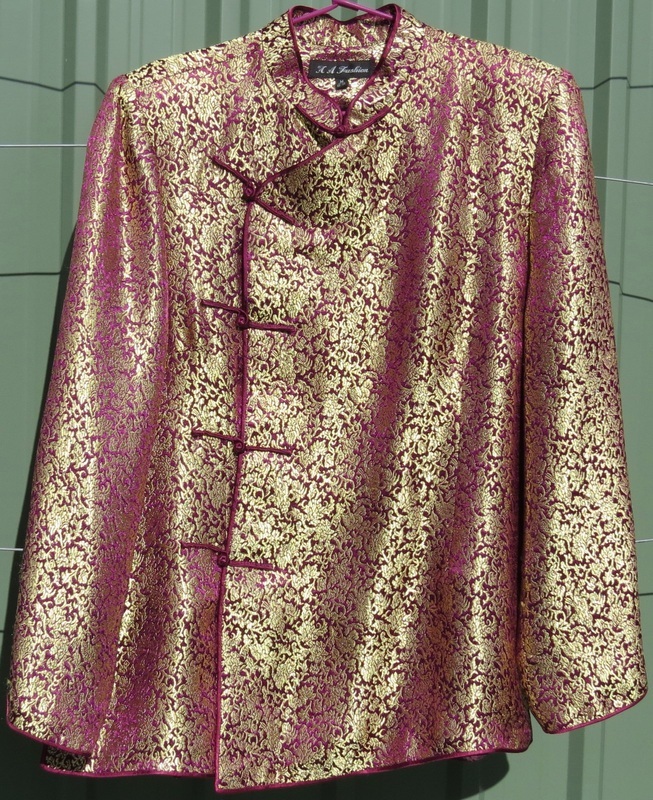 Shimmering burgundy/gold Chinese jacket, brocade, about size 14. $45.